The ultrasonic sensor features a switch output with two teachable switching points. These are set by applying the supply voltage - U B or + U B to the TEACH-IN input. 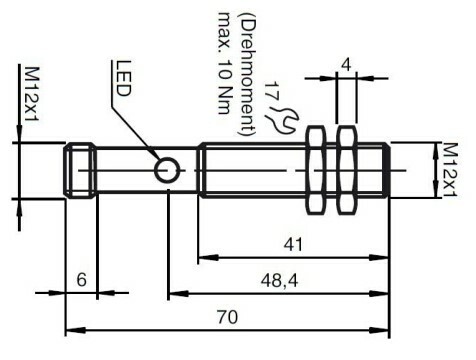 The supply voltage must be applied to the TEACH-IN input for at least 1s.LEDs indicate whether the sensor has recognised the target during the TEACH-IN procedure. Switching point A1 is taught with - U B ,A2 with +U B. Five different output functions can be set. 1. Window mode, normally-open function. 2. Window mode, normally-closed function. 4. One switching point,normally-closed function. 5. Detection of objet presence.